Did you know that Barcelona is one of the most desirable cities in Europe to host a corporate event abroad? Barcelona is known for its proximity to the beach, the mountains, the wine country, and the forests, rich with soil for some of the best produce in Spain. Not to mention, incredible cuisine, some of the best nightlife, and of course, the most stunning venues for events. 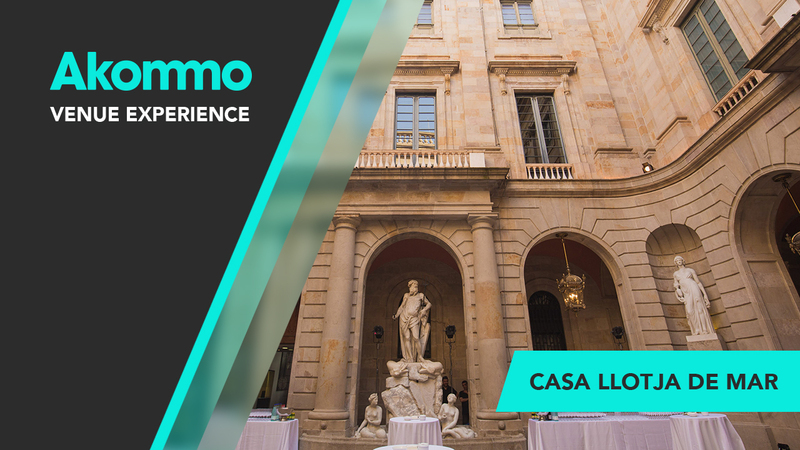 Today we're going to share the first feature on our brand new series, The Akommo Venue Experience, La Casa Llotja de Mar. Sit tight as we take you through this emblematic venue, and get inspired for your next Barcelona event! Here's one of our favourite recommendations of Where to Have Your Event in Barcelona. This iconic event venue is a favourite amongst both local and foreign corporate event planners due to its spacious halls and rooms, the Gothic and Neoclassical architecture, and its overall major historical significance to Barcelona. As we have helped multiple clients find this venue and negotiate the best rental rates at the Casa Llotja, we hold this venue very near and dear to our hearts. As Jason, the CEO and founder of Akommo, takes us around the Casa Llotja de Mar, the various event spaces truly come to life to help you visualise your upcoming corporate event in Barcelona. Before we get into the details of each space, here's a bit of history behind this Barcelona landmark, so you can truly get a feel for how incredible it is to host a venue here. Through various different kings and rulers, wars, and economic crises, the construction of this building has taken hundreds of years to achieve its current pristine state. 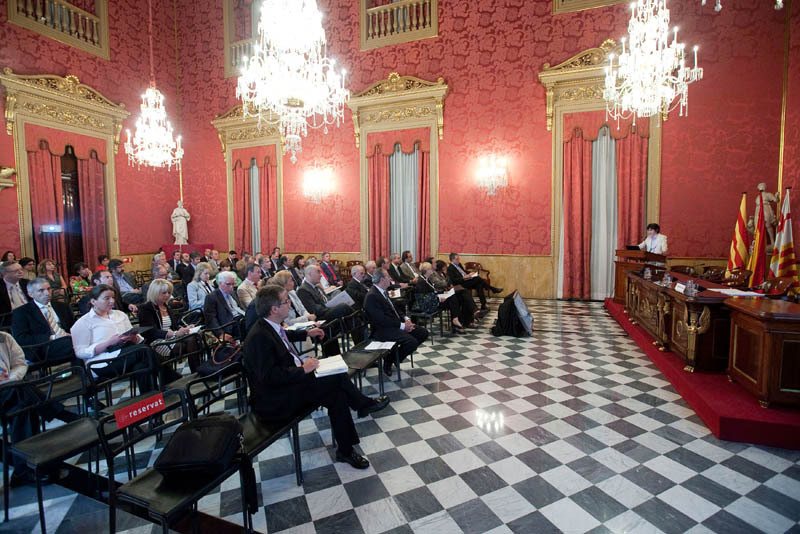 Nowadays, the Casa Llotja de Mar hosts government officials, politicians, and even The King of Spain, in order to sign new laws and decrees for the country. Check out the YouTube Video here and read along to get more information about each space! Barcelona is celebrated as one of Europe's finest cultural treasures. The mystical blend of architectural virtuosity rooted in this great enchantress will leave an unforgettable impression when you host your next event in this city. Click here and get your proposal for some of the most unique Barcelona event venues, free of charge. As the Casa Llotja de Mar is located right in the heart of the city, its easy accessibility and proximity to the water make this space instantly attractive for events. Located on the outskirts of the ancient Gothic Quarter and Borne neighbourhoods, from the outside, you'd never guess what's hiding beyond the humble doors of the Chamber of Commerce. As you walk through the doors, the first space you'll see is the Courtyard and Staircase of Honour. 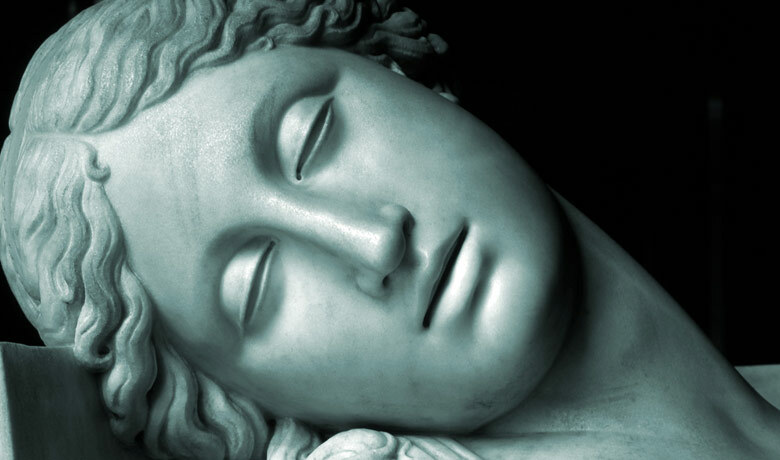 The brightly lit courtyard is illuminated by soft, natural lighting coming from the open ceiling, and is decorated with white marble sculptures, regal light fixtures, and spectacular architecture throughout. Not to mention, it's the perfect place to make announcements or grand entrances using the Staircase of Honour. guitar players or a jazz quartet. This grand hall is the perfect Barcelona corporate event venue, due to its spaciousness, the ornate decorations, 14m-high ceilings, and the fact that it has been conserved throughout the years since Medieval times. Imagine having your next gala dinner here, with up to 430 seated guests, all enjoying a delicious meal in one of Barcelona's most iconic great halls. 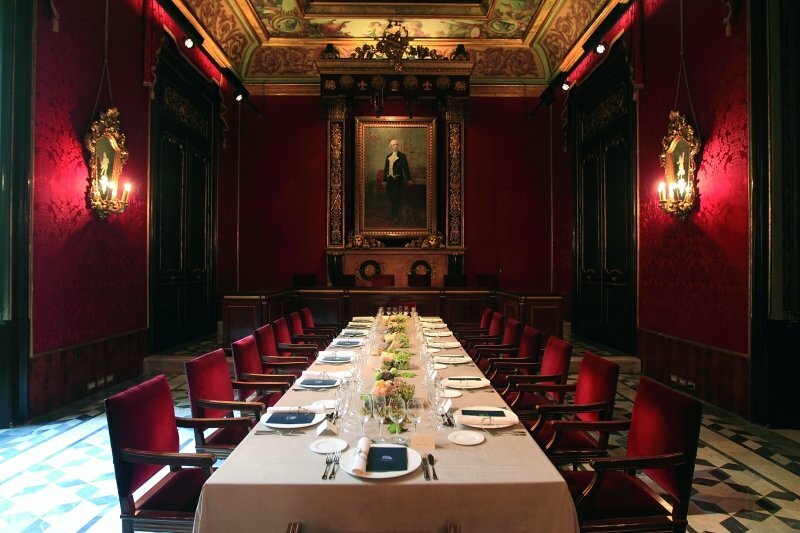 Interested in hosting your own corporate event at the Casa Llotja? Write to us at contact@akommo.com and we'll help you every step of the way, free of charge. add an extra boost of importance and value to your next corporate event. VIP meetings, or even a private an exclusive catered dinner party. meetings for your top company employees. to detail in this room. For more information regarding any of the spaces mentioned, send us an email to contact@akommo.com or give us a ring at +34 931 78 53 00. Ask to speak directly to Jason, our CEO - he'll tell you all about his beloved Casa Llotja!